Founded in 1881, the Indian Tea Association (ITA) is the premier and oldest Association of tea producers in India. 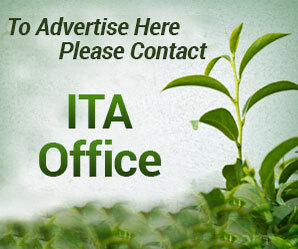 ITA, since its inception has remained the principal advisory and supervisory body in the tea industry. Initially set up to promote orderly growth and collective thinking in Tea, ITA has evolved into a forward thinking organization incisively reading industry trends, encouraging innovative thought, benchmarking best practices and their adoption in industry -- thereby serving as a strong bridge between various segments of the tea industry, trade and Government. ITA continues to discharge a multidimensional role, formulating policies and effectively liaising with the Tea Board, Central and State Governments and a wide spread of quasi Governmental and regulatory agencies. ITA has also emerged as a driver of corporate social responsibility for the tea industry as a whole, administering several projects and programmes that strive to make a difference to the lives of people who reside in and around the tea estates. ITA has over the years reinforced its reputation as a research backed think-tank for the tea industry -- the resources and competencies of which continue to be widely valued. ITA serves as the Secretariat of the Consultative Committee of Plantation Associations (CCPA) -- the apex body of tea producer Associations in India. ITA membership constitutes of 226 no. of companies, covering 474 no. of estateswith around 400 million kgs of crop and direct exports of 50 million kgs, providing employment to more than 7 lakh workers. ITA is Headquartered in Kolkata with a network of Branch and Zone offices in Binnaguri (Dooars), Bengdubi (Terai), Darjeeling, Guwahati, Dibrugarh, Jorhat, Tezpur and Silchar (Assam).